The Office of the Executive Director represents in the Board of the World Bank Group the constituency of Armenia, Bosnia and Herzegovina, Bulgaria, Croatia, Cyprus, Georgia, Israel, Moldova, Montenegro, The Netherlands, North Madedonia, Romania, and Ukraine. The Executive Director and his staff work jointly with other Board members when considering and deciding on IBRD loan and guarantee proposals, as well as IDA credit, grant, and guarantee proposals made by the President. They decide on policies that guide the Bank's general operations. The Office is also responsible for presenting to the Board of Governors, at the Annual Meetings, an audit of accounts, an administrative budget, and an annual report on the Bank's finances, operations, and policies. The Executive Director is a member of the Committee on Development Effectiveness (pdf) and the Human Resources Committee (pdf). Additionally, the Executive Director is involved, together with his staff in other Board Committees, including Audit Committee (pdf), Budget Committee (pdf), Committee on Governance and Administrative Matters (pdf), as well as in informal sub-committees. The Executive Director and his staff work together with other 189 member countries' representatives to harmonize their positions and reach a consensus on development issues. The report calls for a fundamental rethinking of policies to ease the growing divide between those who benefit from new economic opportunities and those who are left behind in an ever-more flexible economy. This interactive tool provides historical and forecast data for ECA countries, including GDP, its major components, inflation, the current account, and the government deficit and debt. The data can be displayed and compared across countries. All of the data is also available for download. The underlying blockchain technology, however, is being adopted more broadly, with several governments in the region already experimenting with blockchains to digitize and streamline public services to make them more secure, transparent, and efficient. The report looks at the economic performance and outlook for the Western Balkans (Albania, Bosnia and Herzegovina, Kosovo, FYR Macedonia, Montenegro, and Serbia) region and specific factors that affect the growth prospects. Learn more about latest news and developments in our constituent countries. Tbilisi, Georgia, June 3, 2015—IFC, a member of the World Bank Group, is providing Bank of Georgia, the country’s largest bank, a $90 million long-term loan to help expand access to finance, further diversifying Georgia’s economy and boosting growth. 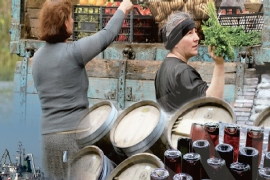 IFC is providing a 10-year subordinated loan, including $20 million mobilized from the European Fund for Southeast Europe (EFSE), to help expand financial services in Georgia, where banking penetration remains low, and increase the flow of credit to micro, small, and medium enterprises (MSMEs). “I am pleased to announce the completion of one of the largest debt transactions for Bank of Georgia,” said Irakli Gilauri, Bank of Georgia CEO. “This subordinated loan facility, which qualifies as Tier II Capital under the Basel 2 framework, will improve the overall capitalization of the bank and support our growth without compromising capital ratios. I would like to thank our long-time partner IFC for continuous collaboration.” The financing will help Bank of Georgia, a long-term IFC partner in the region, expand its already large MSME customer base and encourage growth in its retail banking business. It will also contribute to the bank’s strategic goal of supporting entrepreneurship in Georgia. “The loan package will help Bank of Georgia finance more smaller businesses, which are a driving force for development but often lack the capital to grow,” said Jan van Bilsen, IFC Regional Manager for the South Caucasus. “This project is yet another step forward in implementing our strategy in Georgia – one pillar of which focuses on mobilizing our partners’ resources to help expand the financial sector, boost access to finance, and reduce poverty.” Georgia became an IFC member in 1995. 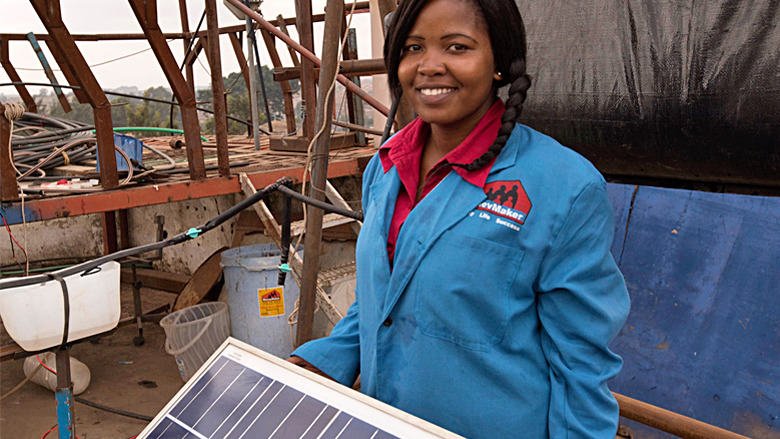 Since then, IFC has provided a total of about $665 million in long-term finance, including $272 million mobilized from partners, supporting 51 projects across various sectors. In addition, IFC has supported trade worth more than $292 million through its trade finance program. IFC has also implemented a number of advisory projects focused on private sector development. Having once been a recipient of World Bank loans--most recently from 1975 to 1981--the move to become a contributing country is significant. The Economy Ministry and World Bank have reached a first-of-its-kind agreement for Israel to provide best practices for developing countries in the Information and Communication Technologies (ICT) sector. The Economy Ministry will contribute a half-million to fund three training courses for bank staff to take place in Israel, focusing on ICT in water, agriculture and cyber-security. It will also contribute analysis for the Bank’s 2016 World Development report. “Israel is a leader in information technologies and their applications to areas like agriculture, irrigation, and cyber security,” said Pierre Guislain, Senior Director of the World Bank’s Transport and Information & Communications Technology (ICT) Global Practice. “We are very happy that Israel has chosen ICT as the topic for its partnership with the Bank.” The collaboration followed two years of discussions between the ministry’s Foreign Trade Administration and the Bank’s ICT unit, which represents roughly $1.7 billion worth of projects with active ICT components at the bank. Having once been a recipient of World Bank loans--most recently from 1975 to 1981--the move to become a contributing country is significant, Economy Minister Naftali Bennett noted. “This agreement will create a great collaborative platform that will contribute to strengthening our relations with developing countries and will create opportunities for sharing Israeli expertise and technologies,” Bennett said. Telavi festival in Kakheti region promoted tourism, cultural heritage, crafts, nature, and wine-making. Frank Heemskerk visited Bosnia and Herzegovina from June 23 - 25, 2014. During his visit, Mr. Heemskerk met with the Chairman of the Council of Ministers, Mr. Vjekoslav Bevanda, who is also the Governor for the World Bank. In addition, Mr. Heeemsker met with the other members of the Council of Ministers, including Minister of Treasury and Finance, Mr. Nikola Spiric, Minister of Foreign Affairs, Mr. Zlatko Lagumdzija, Minister of Civil Affairs, Mr. Sredoje Novic, Minister of Transport and Communications, Mr. Damir Hadzic, and Deputy Minister of Security, Mr. Mladen Cavar. Mr. Heemskerk discussed the political and economic situation in the country, and the ways in which the World Bank could further support the reform agenda to create economic growth and competitiveness. Moreover, it was noted that the devastating floods caused huge economic losses in the country, and Bank's engagement in the recovery and reconstruction was needed. The meetings were also held with the Joint Parliamentary Commission for Economic Reforms, and Foreign Trade Chamber to discuss business climate and investment opportunities, and possible further reforms. On the Federal level, Mr. Heemskerk met with the Prime Minister, Mr. Nermin Niksic and Minister of Finance, Mr. Ante Krajina. Mr. Heemskerk also talked to the Governor of the Central Bank, Mr. Kemal Kozaric. Lunch with the representatives of international agencies which was organized by the Royal Dutch Embassy and hosted by the Ambassador, H.E. Jurriaan Kraak, and a separate meeting with the EUSR, Mr. Peter Sorensen were good opportunities for Mr. Heemskerk to learn more about the international involvement, and progress towards the European integration. Mr. Heemskerk concluded his visit to Bosnia and Herzegovina with a visit to Mostar. During his stay in the country, Mr. Heemskerk met with the World Bank and IFC country office staff, and discussed with them the pace of reforms, and country's future engagement with the World Bank Group. During his visit, Frank Heemskerk met with the high level Government officials and discussed the current situation in Bulgaria and the future cooperation with the World Bank Group. He met with President of Bulgaria Rosen Plevneliev, Deputy Prime Minister for Economic Development Daniela Bobeva, Minister of Finance Petar Chobanov, Minister of Labor and Social Policy Hasan Ademov, and Governor of the National Bank Ivan Iskrov. Expressing his hope that the longstanding partnership with the World Bank will remain strong, Frank Heemskerk was very pleased to see that the cooperation with the World Bank promotes shared prosperity and growth. Frank Heemskerk visited Yerevan on February 17, 2014, where he met with the Armenian Prime Minister Tigran Sargsyan. They discussed the current situation in the country, and Frank Heemskerk was happy to see the Government’s determination to continue with institutional reforms. He also noted the country’s success in Doing Business Report’s ratings, and offered his assistance in helping Armenia continue with its progress. During the meeting, further bilateral cooperation with the World Bank was stressed, and Tigran Sargsyan highlighted the importance of this cooperation by noting that a number of the World Bank programs were implemented in Armenia over the past period. Frank Heemskerk together with Mr. Menno Snel, the IMF Executive Director, visited Tbilisi on February 14, 2014. They were received by the Prime Minister of Georgia Irakli Garibashvili, and other high level Government Officials. Frank Heemskerk discussed the current economic situation in the country and expressed his support to the Government in its efforts to further improve economy and growth in the coming period. He was very positive of the cooperation with the World Bank Group, and offered his further assistance in deepening this partnership. Mr. Heemskerk traveled to Israel from November 13-14, 2013. He met with the Governor of the Bank of Israel, Minister of Finance, and Foreign Ministry officials. In his talks with the Israeli authorities, Mr. Heemskerk discussed Israel’s contribution to IDA, as well as the possible engagement of the private sector with the World Bank Group. In this context, Mr. Heemskerk met with the companies that could potentially work with the World Bank on various projects, mainly in the infrastructure, agriculture, and water sectors. In addition, he also visited a humanitarian organization, Save a Child’s Heart, which provides heart surgeries and urgent pediatric care for the children from developing countries where the heart surgery is not available. Mr. Heemskerk visited the Parliament and had an opportunity to join the session in which the Prime Minister Netanyahu gave a speech. The program also included the inauguration of the new Bank of Israel Governor. This high level ceremony was attended by the President Peres, Prime Minister, Minister of Finance, other relevant ministers, members of the Parliament, and high level officials. During his stay in Israel, Mr. Heemskerk met with the World Bank staff working in the West Bank and Gaza Office. After the meetings, Mr. Heemskerk walked through the Old City of Jerusalem and visited the religious and historic sites. Frank Heemskerk visited Cyprus from November 11-12, 2013. He met with the Minister of Finance and the Minister of Foreign Affairs, as well as the other high level officials. They discussed the current situation in Cyprus and the avenues in which the Government could better engage with the World Bank to boost the country’s economic recovery. Mr. Heemskerk pointed out the World Bank’s extensive knowledge on challenges facing Cyprus. The Cypriot authorities were mainly interested in technical assistance, and the IFC supported investments in the banking sector, which would help the country overcome the difficulties caused by the financial crisis: lack of economic growth, banking sector challenges, and high energy prices; During his visit, Mr. Heemskerk also met with the Ambassador of the Netherlands to Cyprus. After the meetings, Mr. Heemskerk had an opportunity to walk through the Old City of Nicosia and enjoy the unique atmosphere there. He also visited the border crossing between the Greek and the Turkish sides. During his trip to the Netherlands, Mr. Heemskerk gave an interview for the Dutch daily, De Volkskrant. The interview was published on September 14, 2013. A copy of the interview was provided through the courtesy of the De Volkskrant. During the visit, Mr. Heemskerk met with Parliament Speaker Trajko Veljanovski, Prime Minister Nikola Gruevski, Minister of Finance Zoran Stavreski, Vladimir Pesevski, Ministers of Economy and Education, and representatives of the private sector. Mr. Heemskerk also visited the Social Welfare Center which benefits from the Conditional Cash Transfer project, and met with the management of ELEM, the implementing agency for the potential Lukovo Pole project, where he received first-hand information about the views of the clients on both activities. All interlocutors confirmed the importance of the collaboration with the World Bank Group and reinforced their overall satisfaction with the Bank’s responsiveness to the needs of the country. The photo and the highlights of the visit were provided through the courtesy of the Country Office in Macedonia. Mr. Frank Heemskerk visited Ukraine from June 5-6, 2013. The program included meetings with high level Government Officials in which Mr. Heemskerk discussed the role of the World Bank in Ukraine and the possibilities of deepening the cooperation between the Bank and the country. In a meeting that Mr. Heemskerk held with Mr. Sergiy Arbuzov, the First Deputy Prime-Minister and the Governor for Ukraine in the World Bank, Mr. Arbuzov stressed Ukraine’s effort to improve business climate and the importance of the Doing Business report, which is seen as crucial in tracking the progress. The meetings with Mr. Oleksandr Vilkul, Deputy Prime-Minister, Mr. Igor Prasolov, Minister of Economic Development and Trade, Ms. Iryna Akimova, First Deputy Head of the Administration of the President, and Mr. Eduard Stavitsky, Minister of Energy and Coal Industry, provided an opportunity to discuss policy issues. The Government Officials appreciated the value of the research that the Bank does. Mr. Heemskerk also visited the World Bank Country Office, where he met with the local staff and discussed the World Bank internal reform agenda. The Country Office organized a meeting with the EBRD’s client, Ukrhydroenergo, a state owned hydro power company, and the IFC’s client, Mriya, one of the fastest growing agriculture companies in Ukraine. Management of the companies expressed their appreciation for the lending opportunities, and the knowledge which working with the World Bank Group brings. During his time in Ukraine, Mr. Heemskerk had an opportunity to meet with Ms. Gerrie Willems, Charge d’Affaires of the Royal Dutch Embassy to Kiev, and the representatives of the Dutch companies that do business in Ukraine, including Philips, All Seeds, ING Bank Ukraine, Tebodin, Daxx, and Shell. Frank Heemskerk visited Armenia from June 2-4, 2013. During the visit, Mr. Heemskerk met with the Prime Minister, Mr. Tigran Sargsyan and discussed the progress and continuity of various World Bank projects in Armenia. The program also included the meetings with the Chief of Staff of the Government, Mr. Vache Gabrielyan, Minister of Finance, Mr. David Sargsyan, Minister of Economy, Mr. Vahram Avanesyan and the Deputy Governor of the Central Bank, Mr. Nerses Yeritsyan. The World Bank and IFC Country Office Staff organized visits to project sites and a lunch with Mr. Heemskerk during which the country issues, as well as the ongoing World Bank internal reform were discussed. This topic provoked a lively discussion and was a great opportunity to share the views about the reform process from the Country Office perspective. The visit to the country provided a better insight into the country’s current economic position, the pace of reforms, future actions, and the World Bank’s role in it. This year, our Constituency Meeting was held in Tbilisi, Georgia from May 31 to June 2, 2013. The Constituency Meeting started with the opening remarks by the Georgian Prime Minister, Mr. Bidzina Ivanishvili, which opened the floor for the discussions of three main topics: The Banking Union in Europe, Growth Perspectives and Challenges, and the World Bank Group's New Strategy. The program also included two interesting side events: a meeting with a group of students from the University of Tbilisi, and an emotional farewell soccer game organized by the former Georgian National Team and AC Milan player, Kakhi Kaladze. Mr. Kaladze is currently Vice Prime Minister and Minister of Energy of Georgia. Our hosts did a great job in showcasing their culture through a remarkable modern ballet performance, which combined the traditional folk dances with the local and international music. They also organized an excursion to Kakheti Region, and introduced us to the amazing historical and cultural Georgian heritage, which was completed with a great traditional dinner. We all had a great time in Georgia and we thank once again the Ministry of Finance and the National Bank of Georgia for the excellent organization. From May 9 - 10, the Romanian authorities hosted the World Bank Group President, Dr. Jim Yong Kim. He was accompanied by the Regional Vice President for Europe and Central Asia, Mr. Philippe Le Houerou and the Country Director for Romania, Ms. Mamta Murthi. Frank Heemskerk and Mr. Stefan Nanu also joined President Kim. The purpose of the visit was to better understand the World Bank’s partnership of choice with Romania, an upper middle-income client that relies heavily on the reimbursable advisory services (RAS) provided by the Bank to strengthen its administrative capacity, as well as the EU Funds absorption capacity. President Kim met with the Romanian President, Mr. Traian Basescu, Prime Minister, Mr. Victor Ponta, Vice Prime Minister and Minister of Public Finance, Mr. Daniel Chitoiu, and other ministers and deputy ministers responsible for the regional development, justice, EU funds, health and education. In the very candid talks with the Romanian authorities, President Kim expressed his support for further engagement with the country, which will serve as an example of the World Bank’s added value in the more sophisticated client countries. The authorities were interested to see the Bank’s support in setting up a delivery unit at the Central Government level to monitor and support the implementation of the Government’s priorities. The Romanian authorities also came up with an idea of creating a knowledge hub from which the new EU members and EU candidates could benefit in a more timely and effective way. Both ideas were welcomed by President Kim. The program also included a meeting with Roma students sponsored by the Roma Education Fund (REF) and President Kim. Mr. George Soros, the REF Founder joined the meeting. Roma students from Romania and several neighboring countries, including Albania, Bulgaria, Hungary, and Macedonia had an opportunity to discuss different topics and raise various questions from discrimination to employment and training opportunities offered by the World Bank to Roma students. During his stay in Romania, President Kim visited the World Bank Country Office where he met with the local Bank and IFC staff. The Country Office organized a visit to a village where a large Roma community (Frumusani) lives. The participants enjoyed the interaction with many community members and visited the local primary school. "Staying True to a Mission"
IBRD: Each member receives votes consisting of share votes (one vote for each share of the Bank's capital stock held by the member) plus basic votes (calculated so that the sum of all basic votes is equal to 5.55 percent of the sum of basic votes and share votes for all members). IFC: Each member receives votes consisting of share votes (one vote for each share of IFC's capital stock held by the member) plus basic votes (calculated so that the sum of all basic votes is equal to 5.55 percent of the sum of basic votes and share votes for all members). IDA: Each member receives the votes it is allocated under IDA replenishments according to the rules established in each IDA replenishment resolution. Votes consist of subscription votes and membership votes. MIGA: Each member receives votes consisting of share votes (one vote for each share of MIGA's capital stock held by the member) plus parity votes, calculated so that the aggregate number of votes of category 1 and category 2 members is the same. Members choose which category they want to join at the time of membership. Category 1 members were originally defined as developed countries and category 2 members as developing countries. Information concerning current and past IBRD and IDA projects can be found using the World Bank’s Project Database. To visualize the Bank's operations, you can also take advantage of Mapping for Results, an innovative site that geocodes Bank's projects worldwide. IFC projects can be found using the IFC Project Database. MIGA projects can be found using the MIGA Project Database. Use Mapping for Results tool to visualize the locations of World Bank-financed projects of the EDS19 constituency countries. A global network of seven Climate Innovation Centers is helping hundreds of clean-tech ventures grow beyond the start-up phase to spread innovative business ideas across regions and accelerate the pace of climate innovation. To make the recovery sustainable, Europe needs to continue reforms to promote exports and investment, create jobs, and protect the vulnerable. The 2019 Spring Meetings and related events will take place in Washington, D.C. from Monday, April 8 through Sunday, April 14. For details and full schedule, please visit the Spring Meetings 2019.